Brand: Peter's LCC-4475 Units: 5 lb. loaf Solid, but soft caramel, wonderful for centers, apple dip, turtles, or many other treats. When using in candy recipes, simply stretch and cut with scissors. Form into squares and dip, or use in a lined candy mold. Recipe for Apple Dip/ Caramel Fondue: Melt together 1 can sweetened condensed milk + 1 stick of butter + 1 lb. 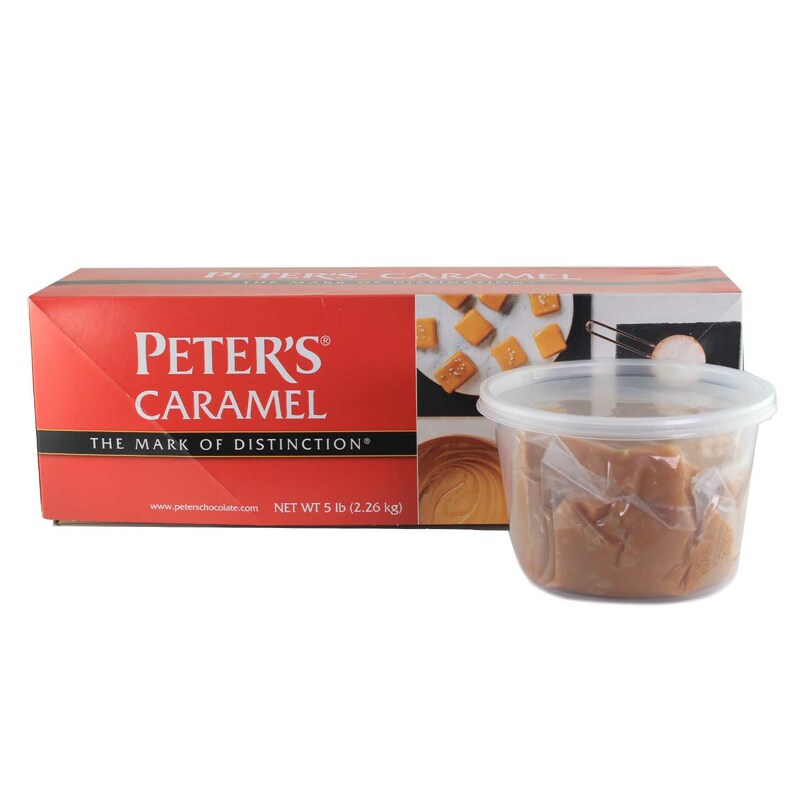 Peter's Caramel.